← TrailerWatch: “Office Christmas Party” gets its freak on! TrailerWatch: “The LEGO Batman Movie” gets pantless. Yeah, pantless. Yeah, Batman was probably the awesomess part of The Lego Movie. So I’m stoked he’s getting his own film, but have secret dark worries. Which I’ve thrown into the garbage, thanks to this new trailer! Phew. Synopsis! Nothing quite like seeing the Joker tear up, or realize exactly why Robin doesn’t seem to like wearing pants. THANK YOU, movie! 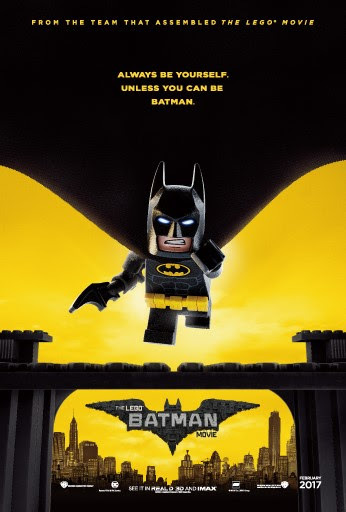 The LEGO Batman Movie gets down to it February 10, 2017. This entry was posted in Trailers and tagged Batman, LEGO, TrailerWatch. Bookmark the permalink.